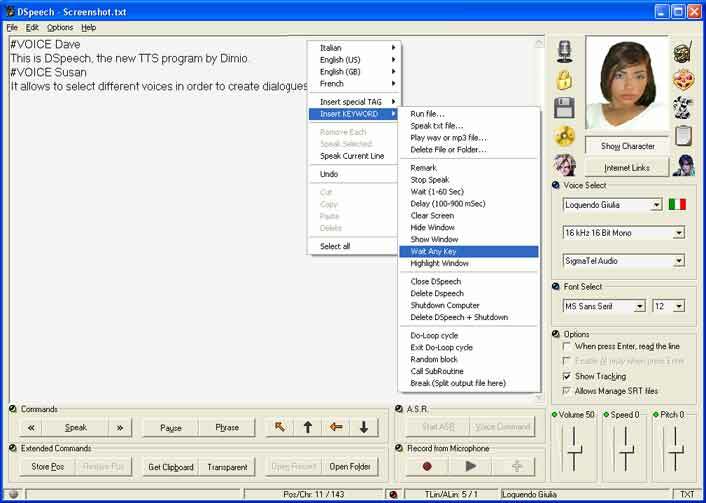 DSpeech is a TTS (Text To Speech) program with functionality of ASR (Automatic Speech Recognition) integrated. It is able to to read written text aloud and choose the sentences to be pronounced based upon the vocal answers of the user. It is specifically designed to provide functions that are necessary to this kind of program.